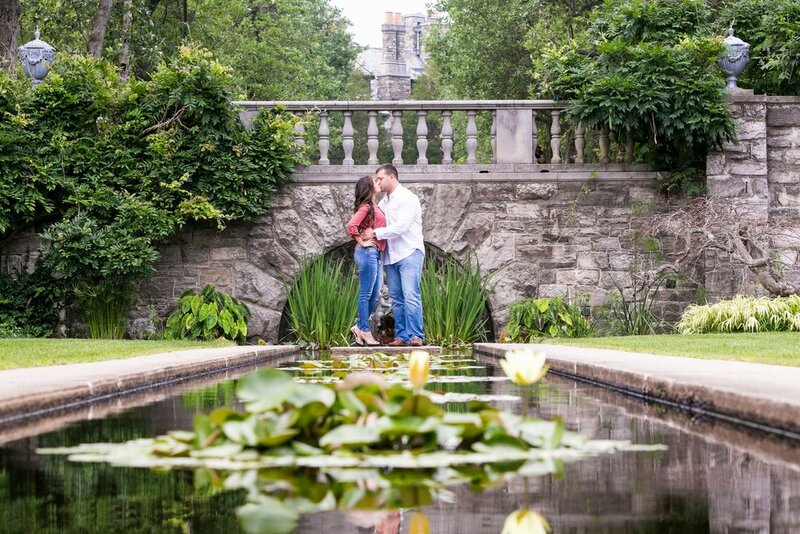 Engagement sessions are a great way to get to know your wedding photographer! We typically conduct our engagement sessions during the week at a location of your choosing. If you need some clothing and location suggestions, we can guide you and we have plenty of great locations to choose from. We typically turn around on delivering your edited engagement photos in 1-2 weeks of your session so that you get get your safe-the-dates sent out to your friends and family. Engagement sessions include digital copies (with copyright), up to 2 hours of shooting time, a private online gallery (for sharing and print ordering), and a fast turn-around time. "So accommodating with our schedules"
"We loved how they took the time to pay attention to little details." My fiance and I just had our engagement shoot with Danny. He made sure we both were comfortable throughout the shoot and got a ton of shots in an efficient amount of time. We loved how they took the time to pay attention to little details to ensure we got the best shot. Within 2 weeks we received our photos for download and love one more than the next. We cannot wait to have Danny shoot our wedding photos next September. I'd definitely recommend the Marquee Photo & Video team for any couple look for unique, fun and beautiful photos.